To say it’s been a rewarding year for Isabelle McCalla would be an understatement. 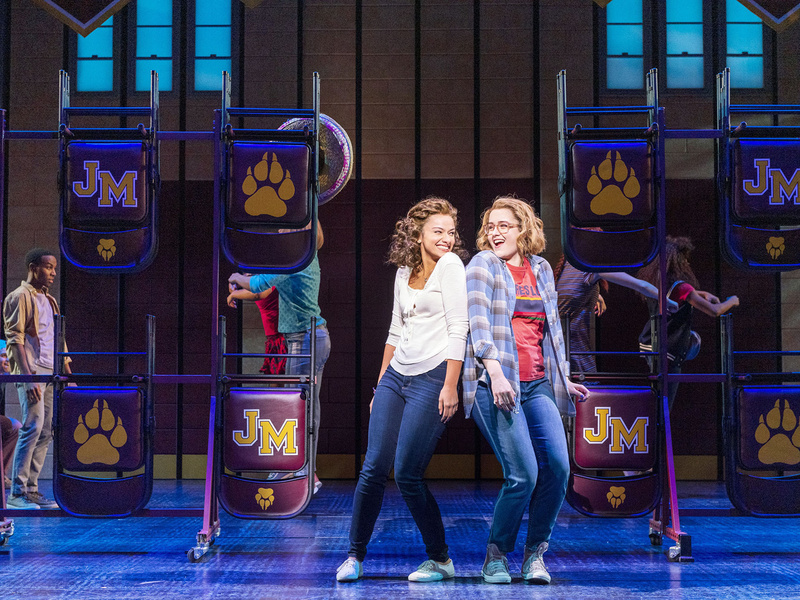 Not only did the actress make her Broadway debut in Aladdin, she is now featured in The Prom as Alyssa Green, a high-schooler who just wants to go to prom with her girlfriend, even though the town would rather shut down the dance. The zazzy new musical has brought McCalla into the spotlight, something that she always wanted thanks to her parents. 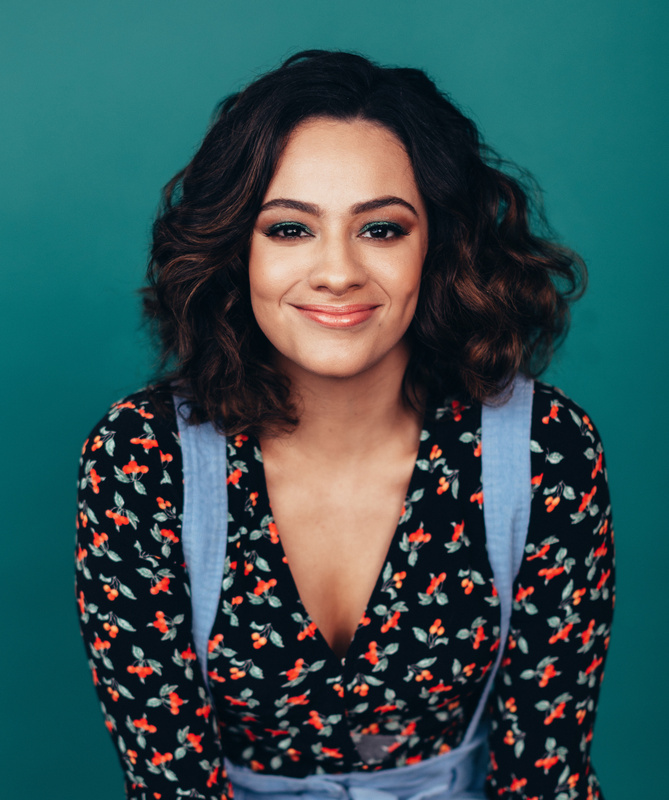 Here, the rising star spoke to Broadway.com about seeing herself in a new light and dreaming of Cats. Like her character in The Prom, McCalla was a star student. “I was Hermione Granger, in the sense that I had straight A’s, like Alyssa Green,” McCalla said. “[I] had to be right about everything—had to be the best at everything. I was very determined and driven as a child. I had a strong sense of adventure and tenacity.” While McCalla admits that the need to be right all the time has since gone away, she has her mother to thank for pushing her to succeed. “My mother was very hard on me,” McCalla said. “I think that fueled my desire to be the best at things, but it gave me a drive. But, she's also my best friend, too. We can talk about almost everything and I know that I can trust her. There is that open communication that I have with my mother that Alyssa doesn't have with hers [in The Prom]. Being on stage is in McCalla’s DNA thanks to her parents’ background as professional ballroom dancers. The Rockland, New Jersey native grew up in the rehearsal studio watching her parents prepare to compete. McCalla even gave it a shot. “I started taking lessons with my dad when I was about nine years old,” McCalla said, “but I wasn't too great at it. I decided I wanted to kind of go my own route and go the theater way instead of the ballroom way.” McCalla’s choice to do her own thing did not take her family by surprise. “My mother, before she transitioned to ballroom, was an actress for a while,” McCalla said. “The performing bug has been in my genes for quite a while. Although, she wanted me to be a nuclear physicist; that didn't work out too well for her." Everybody wants to be a cat, well, at least McCalla did! While reminiscing about her first Broadway theatergoing experience, she couldn’t help but get giddy over the Andrew Lloyd Webber musical. “My mom took me to Cats when I was five years old,” McCalla said. “You know how the actors crawl in the aisles? I remember Cassandra the brown cat [sitting] down next to me and looking up at me. I turned to her and I went, ‘Good kitty’ and just started petting the actor. She was so sweet and nuzzled into me.” It didn’t take long for McCalla to begin to put on her own jellicle balls at home. “I asked my mom to get the VHS, and I watched it every day for a year,” McCalla said. “I pretended to be a different cat every day. I wanted to wear a unitard and have a tail.” Although she hasn’t been able to call the junkyard home yet, you never know. 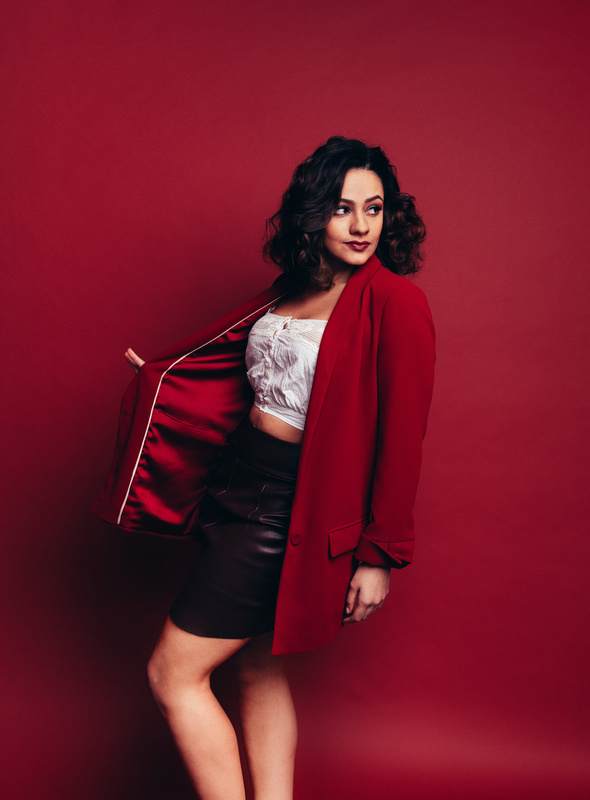 It has been quite the year for McCalla who made her Broadway debut as Jasmine in Aladdin for one month in early 2018. Before she even had the words “Disney princess” on her resume, she was getting used to Agrabah. “My first paid acting job was a production of Aladdin at The MUNY. I was one of Jasmine's attendants,” McCalla said. “The MUNY was my first introduction to professional theater, which is a fun way to do it because it's like summer camp for adults.” The experience at the iconic outdoor musical theater still didn’t prepare McCalla for when it would be her turn to wear the crown. “If you told me I was going to be Princess Jasmine, I would have laughed at you,” she said. “I always saw myself more as a street rat than a princess." In The Prom, McCalla works alongside Broadway stalwarts like Brooks Ashmanskas, Beth Leavel, Angie Schworer and Christopher Sieber. She always wanted to work with Broadway stars, but the new musical made a particular dream come true. “Beth Leavel is just a dream human being,” McCalla said. “For me, this is extra special because I saw The Drowsy Chaperone three times. I was obsessed with [Leavel] to the point where in seventh grade, I wrote a paper on her about who you look up to.” It’s not every day that you get to sing and dance with one of your inspirations, and McCalla is soaking every minute of it up.